ICD code provided for informational purposes only. It represents no statement, promise or guarantee by Allergan concerning coverage and/or levels of reimbursement, payment or charge and is not intended to increase or maximize reimbursement by any payer. It is the responsibility of the healthcare provider to determine the appropriate code(s) for services provided to his or her patient. Please consult applicable payer organization with regard to local or actual coverage, reimbursement policies and determination processes. 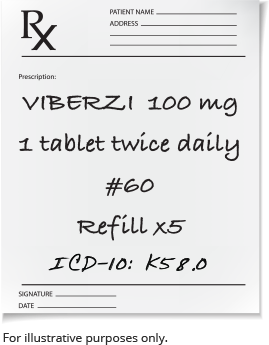 Since VIBERZI is 1 tablet, taken twice a day with food, a good way for patients to remember their dose is to take 1 tablet in the morning with breakfast and 1 tablet in the evening with dinner. 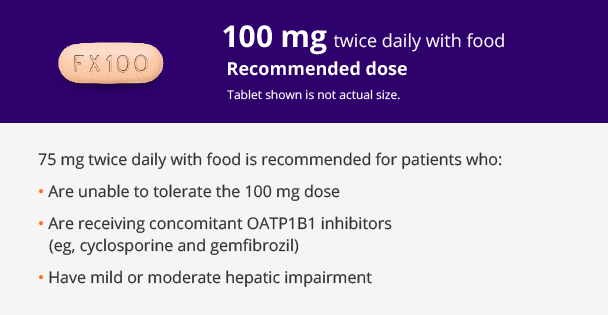 Suggest that patients set a daily alarm or reminder on their phone reminding them when to take their medication. 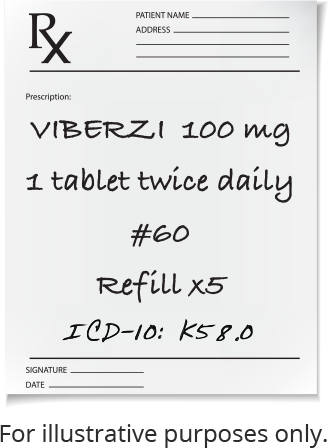 Encourage your patients to fill their VIBERZI prescription right away. You may also want to suggest that they sign up for refill reminders through their pharmacy. Remind patients that if they miss a dose, they should skip the missed dose and take the next dose at their regular time. 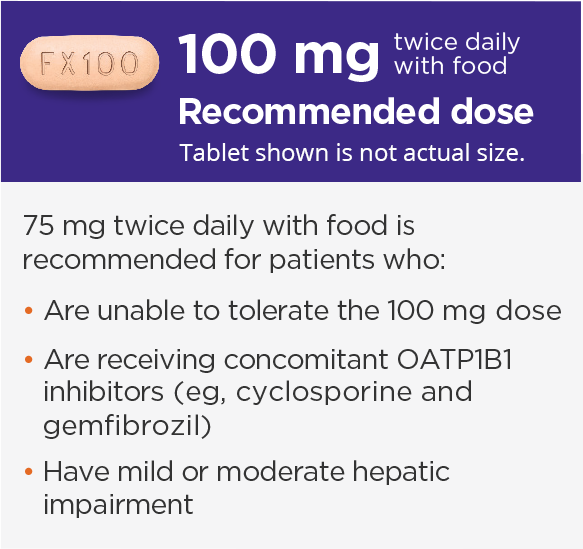 Patients should not take 2 doses at the same time. Encourage patients to always be open with you about how they're feeling. The more they tell you, the better you will understand how to manage their symptoms.